GMC Yukon sales decreased in the United States and increased in Canada during July 2017. July represented the fifth consecutive month of decreasing Yukon sales in the U.S., a development that is both concerning and puzzling, as the sales drop comes at a time when SUVs and CUVs are in high demand. Putting the performance in perspective, however, tells a different story. In the regular-length SUV segment, the Yukon’s 6.56 percent sales decline in July was better than the mainstream full-size SUV segment, which posted a 11.84 percent decline in overall sales volume during the month. In addition, the Yukon was the second best-selling vehicle in its segment during the month, behind Chevy Tahoe yet ahead of the Ford Expedition (whose figures include regular-length Expedition and extended-length Expedition L), Nissan Armada, and Toyota Sequoia. In the extended-length space, the Yukon was the worst-selling model, with 2,780 sales, well behind the 3,392 deliveries of its platform mate, the Chevy Suburban. Given that the Yukon is one of GM’s most profitable vehicles, a decrease in Yukon deliveries could negatively impact GM’s earnings in the second quarter of 2017. 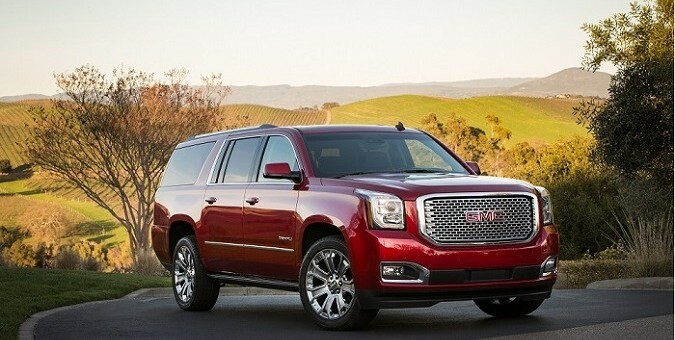 The 2018 GMC Yukon represents the fourth model year of the current, fourth-generation model. It receives a few changes and updates for the 2018 model year, with most of the notable being for the Denali models, which get the new GM 10-speed automatic transmission, a new grille, and real wood interior decor.